Located on 93 beautiful acres near the Merrimack River in Tyngsboro, Massachusetts, Parlee Farms offers the finest fruits, vegetables and flowers. Owned by Mark and Ellen Parlee, we began in 1987 when we planted our first crop of strawberries. We opened for pick your own in June 1988 with two acres of strawberries, a scale set on a plank that was held up by cinder blocks, and a blue tarp to keep the rain off the fresh picked strawberries, the scale, and us – in that order! Along with our two daughters, Mary and Annie, we worked hard as a family to make our dream of farming a reality. Over the years, we were fortunate to be able to purchase beautiful river-bottom land on Farwell Road. Almost 70%of our Tyngsboro MA pick your own farm is preserved under Massachusetts’ Agricultural Preservation Restriction Program, which means the land will always be used for farming and cannot be developed. As we added land, we added more crops. To sell the crops, we added a Farmstand, Annie’s Animal Barns, Mary’s Country Kitchen and Bakery, 15 hay ride wagons, Indoor Restrooms, and our wonderful employees to keep everything running smoothly. 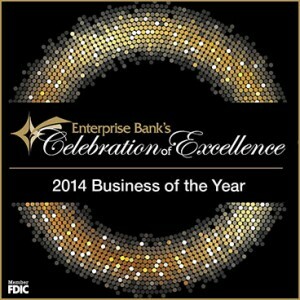 Parlee Farms was awarded the 2014 Business of the Year at the Celebration of Excellence hosted by Enterprise Bank. We are so honored and humbled to be chosen for this award from among many outstanding nominees. All of this is a result of the strong support we receive from our wonderful customers and our outstanding staff. Thank you for allowing us to do what we love to do! If you have any comments or questions, please contact us. Thank you!